Mark Peden | Attorney Profile - Foley Peden & Wisco, P.A. Mark Peden is an experienced general practitioner in Morgan County. He will guide you to get to the bottom line so you can resolve your legal problem as quickly and economically as possible. Mark will represent and advise you for the following areas: Bankruptcy, Adoptions, Guardianships, Handling Estates, Preparing Wills, Powers of Attorney, Land Contracts (preparation and foreclosures), Zoning, Debt Collection, Name Change, Deed, Transfers on Death, Easements, Restrictive Covenants, Homeowners Association, Mortgage Foreclosure, and Appeals. 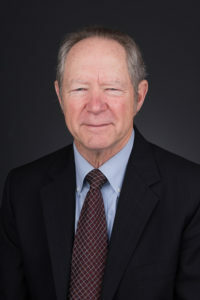 A graduate of Indiana University Law School, Mark has argued before the U.S. Supreme Court, Indiana Supreme Court of Indianapolis, and the Seventh Circuit Court of Appeals in Chicago.